Mockingbird talks a lot about movies and music. Much of the time though we can’t do the thing we really want to do — which is give you the whole song or movie. You know: click here and watch the whole thing now! But… there’s a whole lot of fiction, especially short stories, that are in the Public Domain. 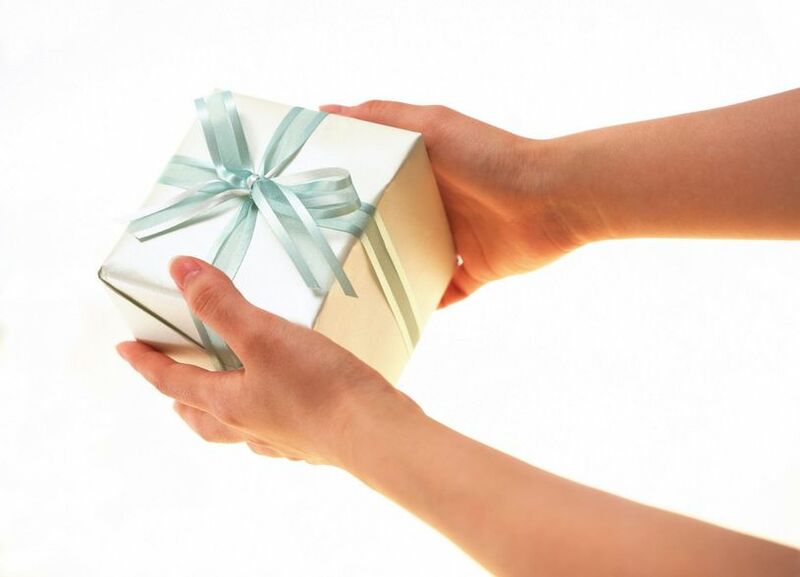 Which is to say: pure Gift, no cost, no earn, just click and receive. Which is of course totally what we are about. So here’s my stab today at throwing out some very MB fiction. Hopefully we can do more of this. The title of this post is a tribute to JZ’s visual koans which we are lucky enough to see every now and then at MB. And the author of these stories is Oscar Wilde. The Happy Prince. Very short story, about a statue and the bird who comes to love him. One of Wilde’s most famous pieces. 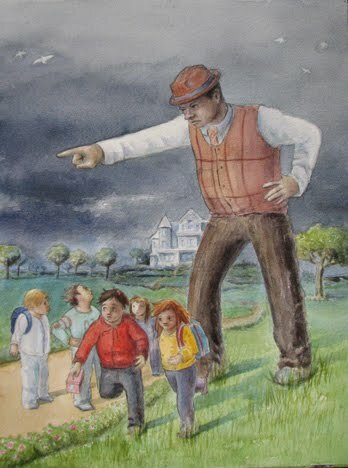 The Selfish Giant. Also short. Funny and touching, lots about law and gift and how loving gets born. 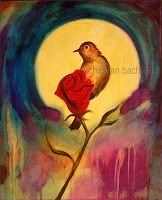 The Nightingale and the Rose. Another very short piece, thematically like HP and SG, but with more explicit imagery about the Blood. The Canterville Ghost. Quite a bit longer than the other three, and very funny. An aggressively American family encounters a very British ghost. Deceptively funny in fact: because by the end of the piece it has become a serious meditation on suffering, death, forgiveness, need, and release. 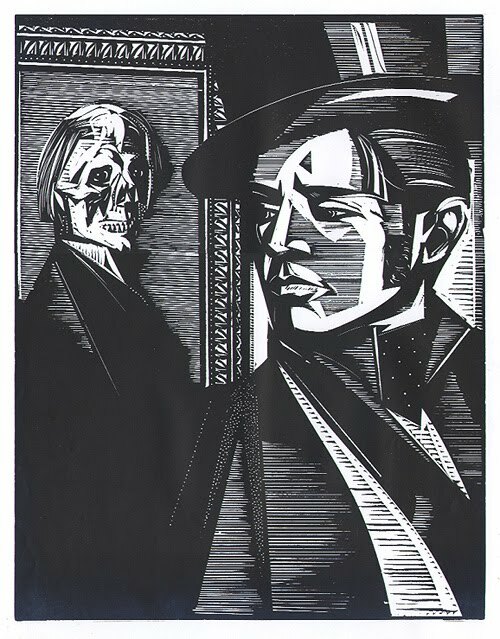 The Picture of Dorian Gray. A novella, exploring the nature of sin as incurvatus in se (self curved in upon itself), the desperate need for a substitute to bodily bear our iniquity, the absolute demand of the holy law, the futility of all works at altering our inner life; and so on. Wilde at the height of his powers as an artist: one of his greatest prose achievements. 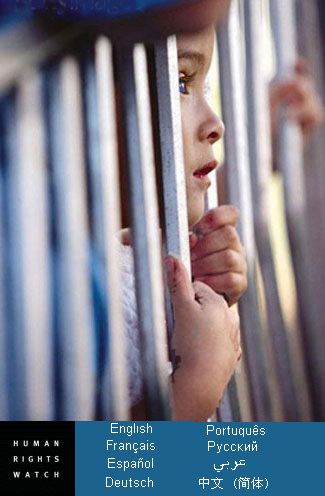 Toward the end of his life Wilde came in prison to know great suffering; and to learn in a very visceral way pity and helplessness and abandon all interest in a theology of glory. At death he was received into the Church of Rome. Few have experienced the heights and depths of law/gospel to the degree of Wilde. Thanks, Stampdog, for these fantastic recommendations. 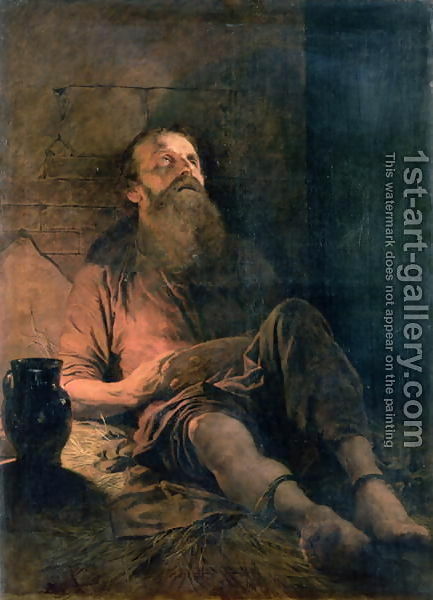 The Holy Spirit was powerfully at work in this brilliantly gifted, arrogant, tortured, self-justifying, self-loathing, broken, persecuted, killed and resurrected man. John, These are such excellent suggestions. Can't wait to read these, and with a focus on the law/gospel dynamic and a renewed understanding of our sin and suffering and God's one answer that are so essentially Mockingbird's message. Thank's for a wonderful post! John, thank you for this. I am really excited to read The Canterville Ghost. 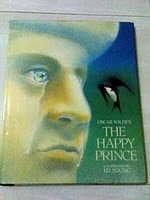 Didn't Wilde write The Happy Prince and The Selfish Giant for his kids? I remember reading Lord Saville's Crime and thinking it was pretty fantastic as well. I believe you recommended the filmed version of An Ideal Husband a while back, which is one of my favorites as well. Though I'm not sure how anything could quite touch Dorian Gray in terms of Gospel significance. So glad you guys liked this piece. Michael, have you seen the 1999 movie of Wilde's AN IDEAL HUSBAND? DZ and I both like it a lot — I'm curious what you thought. Dave, I believe you are right. According to Vyvyan Holland, one of Wilde's sons, "The Selfish Giant" and "The Happy Prince" were written for him and his brother Cyril. VH talks about this in his book "Son of Oscar Wilde." Jeff, delighted to hear you had a moment of abreaction. 🙂 You may have a similar experience with "The Selfish Giant." I of course am crazy about all of the pieces I mentioned (and others I didn't!). I LOVE that poem by Wilde.